Why Cabo? 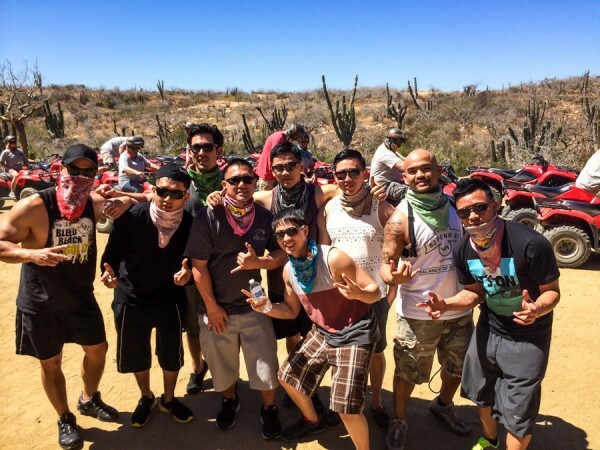 I simply wanted something that felt like a getaway from the typical Vegas bachelor party. Plus, I wanted to do more than just clubbin’, get in some beach time, have easy flight-access from the Bay Area and be relatively low key and maintenance. So many hotels/resorts in Cabo are “family friendly”. 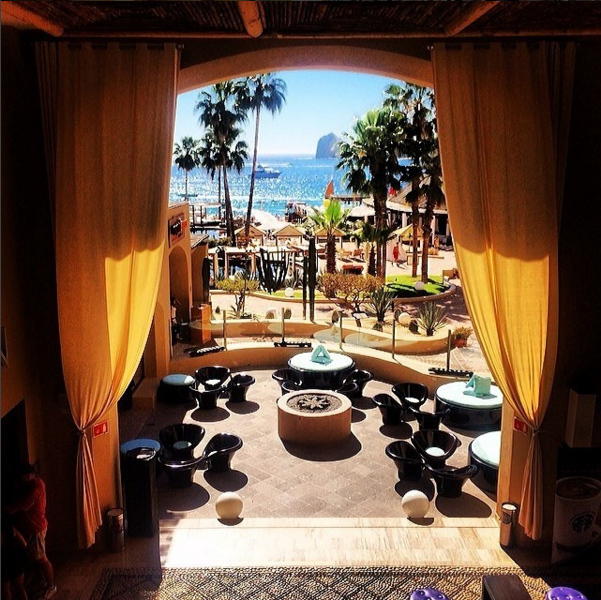 However, ME Cabo is the main resort that is made for the adults who want to have fun. It’s not so much for the young Spring Break crowd, but a bit more mature & sophisticated with the crowd being mostly late 20’s – mid-30’s. Oh yeah, and it sits right on the beach and has one of the best views of the beach & coastline. 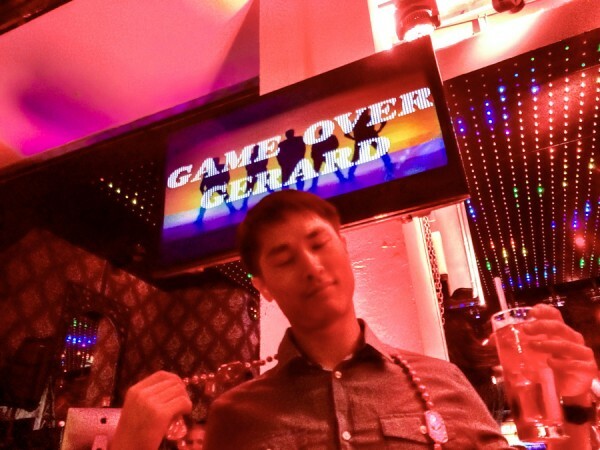 Tip: Bachelor parties usually involve a little booze right? If you want to load up on liquor, there is conveniently a Costco on the way to town from the airport. If the hotel gives you trouble bringing it in with you, try giving a good tip. 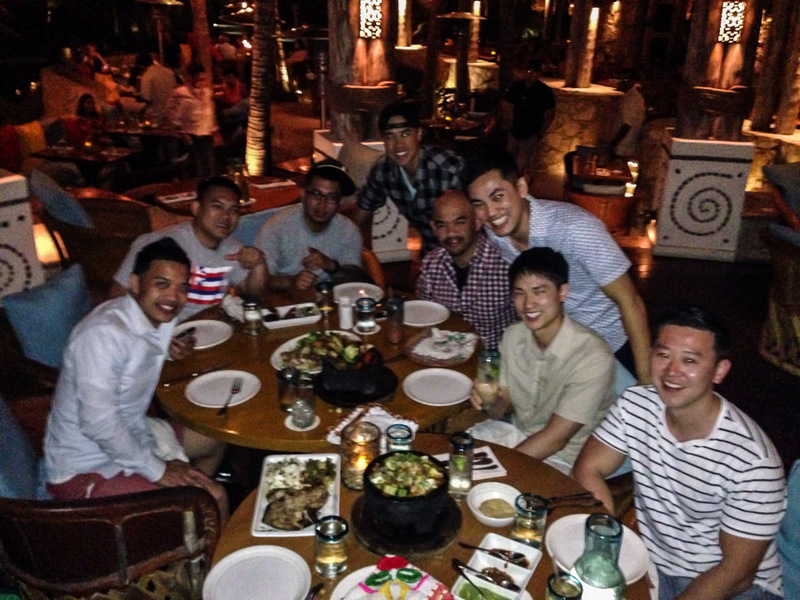 Food is always going to be important, luckily Cabo didn’t disappoint. For the areas best seafood tacos. 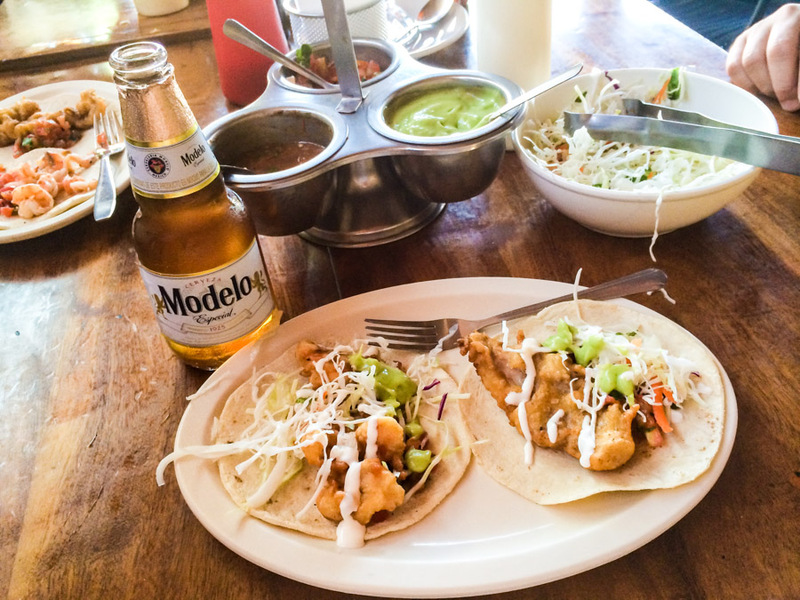 We’re a sucker for seafood tacos. The ceviche was also a hit. Tacos come with all the fixings to dress up your taco however you like. This meal was so memorable, the setting, the view and food. Everything was top notch. The guys had so much good food, they were knocked out for the count after our last dinner here. Be sure to RSVP for this place if you go. If your guy are in the mood for meat. 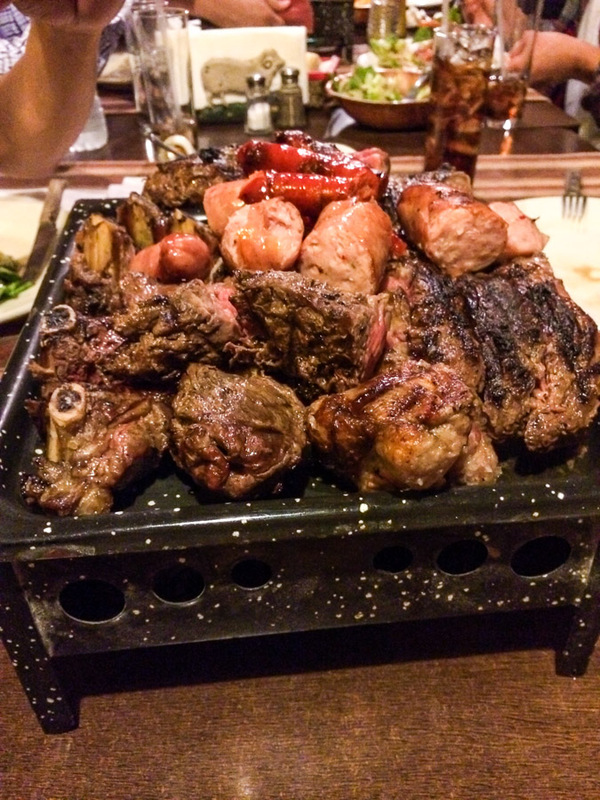 Get a taste of Argentina at Patagonia Steakhouse. It won’t disappoint. Huge portions, so be sure to share. This was a great excursion almost all guys can dig. Riding dirty through the desert terrain and oceanside. 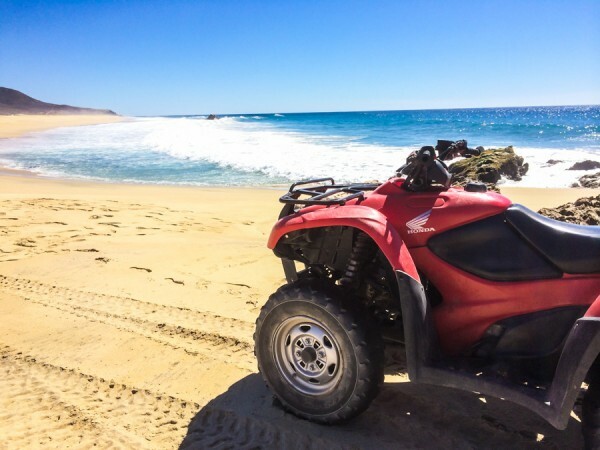 We went with a reputable ATV vendor, Cactus ATV Tours. 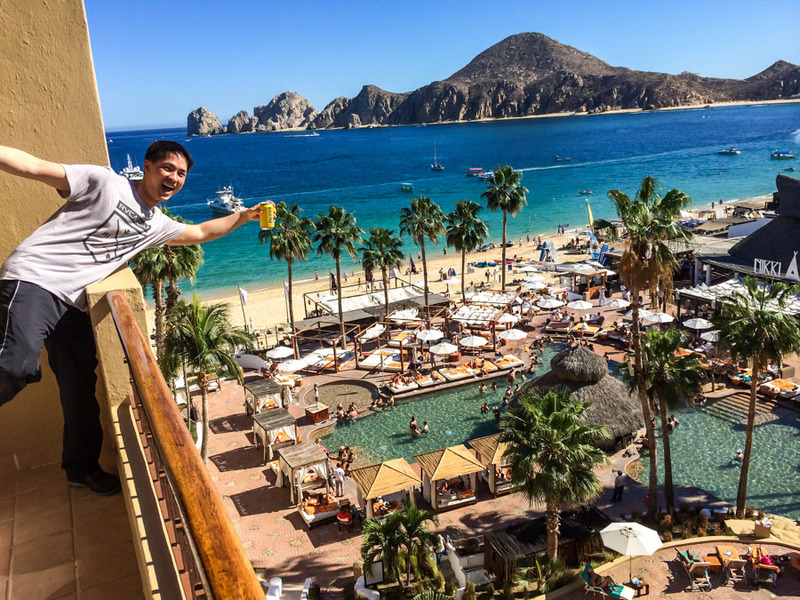 One of the best reasons to stay at ME Cabo is being at the go-to pool party in Cabo that sits right along the beach. Here’s a fun place known for their ridiculously cheap drink specials. $5 USD will get you 2 shots of tequila and 2 beers! Pretty unbelievable, but it’s true. Seems to be one of the more ‘poppin’ nightclubs in downtown. It gets pretty crowded, so reserve a table/bottle service if you want to be a little more comfortable with your own space. There are other nightlife activities out there well-suited for bachelor parties, but I’ll leave the party planner to research those up for himself.